Seek the help of an expert and you will probably have an easier time with division of the pension during divorce. Contact us today for more! When divorcing, there are several assets that come to mind first. The family home has to be among the first of these. Couples often quarrel over who will take the family home because it is often the asset of highest value. Pension benefits may not be an immediate thought for some couples but they are usually second to the family home because of their high value. The value of the pension benefits is a dawn that more and more divorcees are waking up to nowadays. It is very important to get pension information when divorcing so as to divide the assets fairly. With the information on pension one will be able to determine how they are valued as well as how they can be treated when dividing the assets. Here is an overview of the different types of pensions. It will help you gain some more knowledge on treatment of pension in the divorce process. The Employer Pensions are sometimes referred to as the Occupational Pension Schemes. They can take one of two forms: a final salary scheme or a money purchase scheme. The final salary scheme is where the retirement benefits are related to earnings at the time of retirement and the length of service. In the money purchase schemes, benefits are connected to a fund value that depends on contributions, retirement age and investment returns. Private pensions are just that- private. They exist for people in the self-employment sector. They are also availed to individuals whose employers do not offer a pension scheme or the employer has a scheme but the individual is ineligible to join. The fund value which provides the pension upon retirement usually depends on the value of the contributions made as well as the return on investments. State Pension benefits are made up of the basic state pension and SERPS (State Earnings Related Pension Scheme). Public Service Schemes have to be among the best of them all. They include those that are availed to civil servants, teachers, armed forces, police and others. They are among the best due to the availability of inflation protection and the fact that they provide for early retirement. Establishing current values will therefore require close attention to be paid. Perhaps now is a good time to mention that the State Pension benefits belong to an individual and thus are not available for sharing or earmarking. Earmarking is a whereby a certain percentage of the pension is identified as being yours. This percentage is ring-fenced for your benefit upon your spouse’s retirement. So what options are availed to you? There is offsetting, to start off. This is a situation where the value of the pension is ?traded’ for another capital asset. For instance you have joint ownership for your home that is worth £300,000 after repayment of mortgage and your spouse’s personal pension fund is of equal amount £300,000. If offsetting is taken as an option, you could agree to keep the home and then you spouse takes their pension. Earmarking is an option but then it is highly discouraged because in most circumstances it does not permit for a clean break. It gets worse. If your spouse dies, the pension dies as well. On top of that, your spouse can defer taking this pension till they are of the age of 75. In this case, there is nothing you can do about it. Pension sharing is often the best of options. It was introduced at the dawn of the new millennium and is available for all pensions except the basic state pensions which will forever be property of the concerned individual. With pension sharing, the pension can be divided two ways and thus removes the dependency that comes with earmarking. Remember that with earmarking, you and your spouse agree on a certain percentage of the pension which you will be entitled to. You will still be dependent on your spouse in this arrangement. Pension sharing is meant to remove this dependency. Cash Equivalent Transfer Value (CETV) is a value that is produced by the pension provider (scheme administrator). It represents the value of the benefits that are available to an individual assuming that they are withdrawing from pensionable service at that particular time. This is appropriate for the money purchase scheme mentioned above but might not work out accurately for the very complicated arrangements. It fails to consider additional benefits such as spouses’ rights and death in service payments. A pension audit is perhaps the best option if one party is not in agreement with the CETV value provided. In a pension audit consideration will be given to several other factors such as surpluses or under funding that may exist in final salary schemes and other considerations. Whether sharing or earmarking is being done, a clear understanding of the schemes and how the assets may be utilised under each of the available methods will be required. A pension audit can increase the CETV significantly. The value of pension benefits is usually considerably good. Therefore, special care should be taken when dealing with pension division. As aforementioned, the division of pension as an asset is heavily dependent on the value that it is given. It is thus very crucial to provide an appropriate value. Secondly, it will be important to ponder thoroughly over the various options that are availed to you. Seeking professional help is highly advised if you are looking for pension information when divorcing. Some of these professionals include the likes of an Independent Financial Adviser (IFA) and an actuary. This depends heavily on the scheme that is involved. Indeed divorce is a really difficult process. Such delicate assets like the pension make it even more difficult. The above is a brief overview of the relation of pension and divorce. Seek the help of an expert and you will probably have an easier time with division of the pension during divorce. I wanted to leave my spouse but, I was really concerned about our children but all thanks to Aspire Family Mediation, we created a common way to raise our kids and now we both have access with our children. I was provided a safe, neutral place for me and my ex-partner to meet with an impartial mediator. 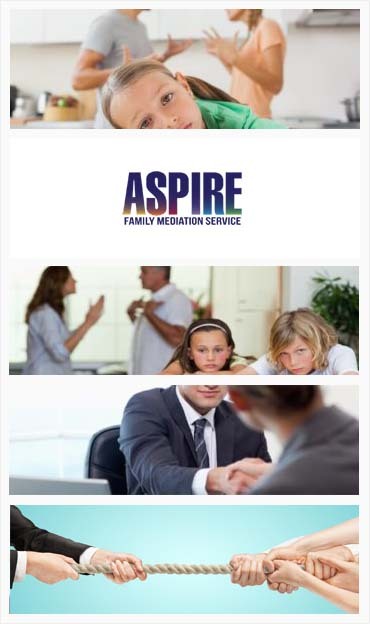 Aspire Family Mediation helped me in the most convenient way.